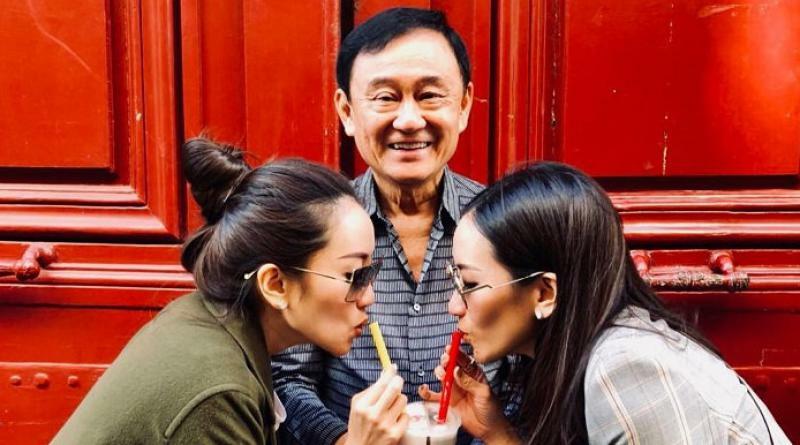 ATTRACTING a lot of comments on Thai social media is a photo which shows former prime minister Thaksin Shinawatra holding a glass of bubble milk tea while his 2 daughters drink it, one through a red straw while the other a yellow one, Sanook.com and INN News reported today (Sept. 11, 2018). This photo was posted on the personal Instagram account of Thaksin’s younger daughter, Paetongtarn Shinawatra, who is drinking the tea through the yellow straw, while her older sister, Pinthongta Shinawatra Kunakornwong, is drinking it through the red one. 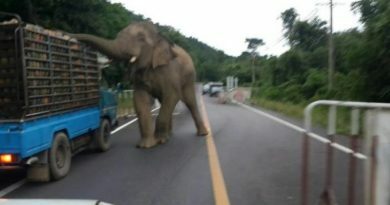 She related in the accompanying message that Thaksin had said the red and yellow straws look beautifully harmonious. “When 2 young women are with their dad, they always turn into kids again. Dad said red and yellow straws look beautifully harmonious, we could not find fault with that, so just followed the tide,” she wrote. Among those who commented on this photo was Thaksin’s son Panthongtae Shinawatra who said briefly that this message is really deep. 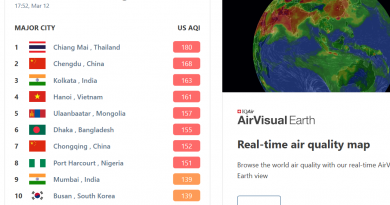 Air Quality update: Chiang Mai now world’s most polluted city.